The world-famous dance crew Jabbawockeez continues to make their mark on the Las Vegas Strip with their new show “PRiSM” at Luxor Hotel and Casino. A celebration of imagination, “PRiSM” takes audiences on a journey of dance, music and inspiration. The show is a dynamic mix of awe-inspiring choreography, enchanting storylines and stunning special effects, forming a production that challenges audiences to embrace the unexpected. Jabbawockeez became the first dance crew to headline a show on The Strip in 2010 with the wildly successful “MUS.I.C.,” which premiered at MGM Grand Hotel & Casino and later moved to Monte Carlo Resort and Casino. Continuing the relationship with MGM Resorts International, the crew brings their new show “PRiSM” to Luxor in a specially designed, custom-built theater. A year in the making, the new 830-seat Jabbawockeez Theater features amphitheater style seating, creating an intimate feel for each guest in the house. The theater also features top-of-the-line acoustics to complement the musical artistry of the show. Jabbawockeez performs at Luxor Sunday – Monday at 7 p.m., Thursday at 7 p.m. and Friday and Saturday at 7 p.m. and 9:30 p.m. The show is dark Tuesday and Wednesday. Tickets start at $55, not including applicable service charges and taxes. For more Jabbawockeez action, see Super Banger Wockeez, Sleepwockin and Devastating Stereo. Jabbawockeez has developed a one-of-a-kind style that has been incredibly influential in the dance community, effectively changing the way people view dance around the globe. Dressed in expressionless white masks and gloves, they guide the audience’s attention away from individual identities and toward a unified group to create a canvas for the audience to visualize the music by painting artistic imagery through their intricate moves. After being crowned the original champions of MTV’s “Randy Jackson Presents America’s Best Dance Crew,” the group’s unmatched talent and captivating style quickly became a fan favorite worldwide. This entry was posted in dance, events, music on July 21, 2013 by Kevin Hsieh - channel APA. A refugee now living in the US, Joseph Kim tells the story of his life in North Korea during the famine years. He’s begun to create a new life — but he still searches for the family he lost. Joseph Kim is from the northern region of North Korea. Growing up during the great famine of the 1990s, at the age of 12 Joseph saw his father starve to death, his mother disappear and his sister flee to China to search for food. 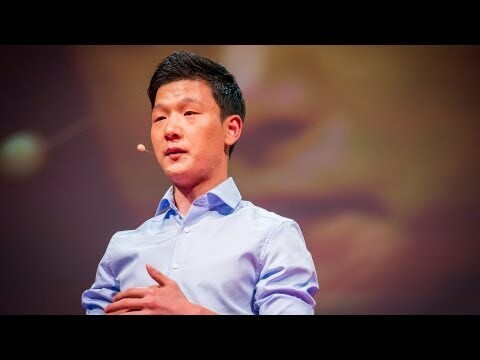 In 2006, when he was 16, he decided to make the dangerous escape alone out of North Korea to look for food — and for his sister. While hiding in China, he met a Korean-Chinese grandmother who protected and fed him until he found help from Liberty in North Korea (LiNK), a NGO that provided more stabilized shelter and later helped him to escape to the United States. This entry was posted in events, tragedy on June 23, 2013 by Kevin Hsieh - channel APA. What happens when a dream you’ve held since childhood … doesn’t come true? Lisa Bu grew up in China with tiger parents, who wanted her to have a safe and stable career as an engineer. However, she had her own dreams to be a Chinese opera singer, but her dream was shattered. She turn to books to create a new dream, which led her to move to the US. As Lisa Bu adjusted to a new life in the United States, she turned to books to expand her mind and create a new path for herself. 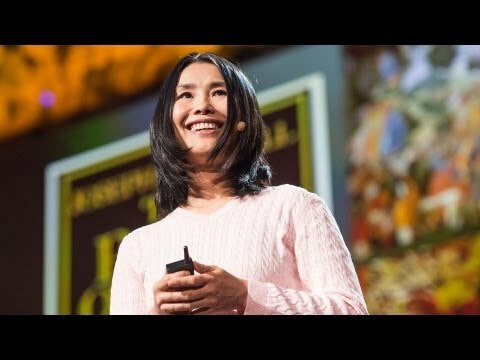 She shares her unique approach to reading in this lovely, personal talk about the magic of books. Born and raised in Hunan, China, Lisa Bu has been with TED since 2011. Before that, she spent seven years as a talk show producer and a digital media content director at Wisconsin Public Radio. She’s also a computer programmer, with a PhD in journalism and an MBA in information systems from the University of Wisconsin-Madison, as well as a BA in Chinese from Nanjing University in China. This entry was posted in book, events on June 17, 2013 by Kevin Hsieh - channel APA. Battle Battle documents the production of the Asian American hip hop musical Krunk Fu Battle Battle at Pomona College. 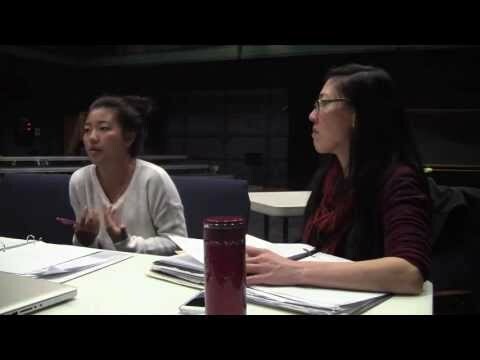 It describes the challenges faced by Asian American actors in theater, focusing on the casting difficulties presented specifically to women. Battle Battle documents how the efforts of director Professor Joyce Lu in Krunk Fu addressed some of these unique challenges, and the impact the show had on its student actors. This entry was posted in events, music, shorts on June 4, 2013 by Kevin Hsieh - channel APA.